We are your local experts with over 30 years of experience. We can service your car, repair all type of car faults, tyre punctures and replacements and we are an approved MOT Testing station. Our service is friendly and welcoming. Our prices are competitive and fixed. We are reliable and trustworthy. We are an approved MOT testing station. All work is done in our state of the art workshop, We have a large working area to cater for multiple vehicles, as well as helping us start any repair work immediately. Making sure your vehicle is swiftly back with you as soon as possible. We can repair all makes and model of vehicle. We specialise in BMW, Toyota, Ford, Vauxhall, Fiat, Renault, Audi, Mercedes. Walthamstow Car Servicing & Repair Centre provides everything you need from a fully equipped car servicing garage. Our repair pricing is fixed and transparent. Excellent customer service is what we pride our selves on. Our team of experienced mechanics can work on all makes of car are here to meet your car servicing, MOT, Car repair requirements. 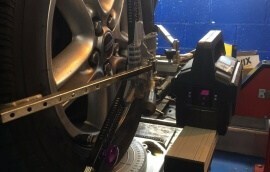 Lowest priced wheel alignment prices around. Vehicle due an MOT? Our experienced team can MOT test cars and light vans in our fully equipped MOT testing centre in Walthamstow. We are an approved MOT testing centre and can carry out any repair work necessary to get your car through the MOT test. Call Walthamstow Village Garage today. 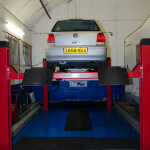 MOT Test is £39.00 with a FREE Retest if fail. Is your car in need of a service or due an MOT? 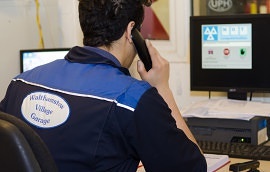 At Walthamstow Village Garage we offer a full range of affordable services. 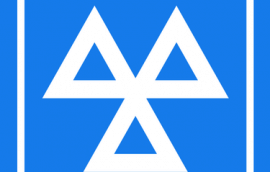 We are an approved MOT Testing station based in a spacious workshop in the heart of Walthamstow. Call us today for a FREE Repair quote, Car Servicing or for your car to be booked in for an MOT. We have over 30years experience, all our mechanics are fully qualified to work on all make and model of car. We pride ourselves on the following values. My son bought a car from a local dealership only to find after getting a puncture there was no lock nut. The dealership messed around and quoted silly money to fix it, even though they sold it with a missing part ! These guys however changed the lock nuts, supplied and fitted a new tyre with no fuss. They explained the potential cost and came in at the low end of the quote, which in my view was a reasonable price. Friendly and reliable service, these guys you can trust to do the job and not try and rip you off. After a horrible experience with a car dealership these guys made fixing the car an easy task! They were clear and concise with me, giving me updates and not minding when having to deal with the car dealership, the warranty guys and us. They were excellent and I will be going back for any further work (fingers crossed no time soon). Highly recommend for any work that needs done on your vehicle. Best garage I have ever used. Friendly, helpful, efficient. Highly professional, great service, fair prices. They always explain everything fully and won't do any unnecessary work. Will try to save you money if possible. Brilliant service. Honest and very trustworthy. Splendid service at a good price with knowledgeable staff and very professional. All in all had a great experience from morning to evening and car drives smoothly after getting 4 new wheels put in, console bushes replacement and a 4 wheel allignment. I would highly recommend this place to anybody who wants a food job done and professional mechanics with great customer service skills. Thanks you for the pleasant experience. Smiling, helpful professional staff. Away working consistently and spotless workshop. Used them and well priced and willing to help not con you. I have been using the Village garage for a number of years. I have found the garage very helpful and informative. I alway receive a phone call from the garage if the car requires extra work. I am told what the work is and how much it will cost.This is a garage you can trust. Very pleased with the service received from Walthamstow Village Garage. After reading all the positive reviews from previous customers i decided to leave my existing garage due to them trying to rip me off recently. I did a Google search online and came across Walthamstow Village Garage. True to other customers experiences they were friendly and honest. I am really pleased. Highly recommended. Recommended. I'm quite picky about where I send my car and have previously used only specialists or recommendations from owners clubs. I had a look around a few garages in Walthamstow last year and was immediately impressed by the cleanliness of the workshop here and the friendliness and knowledge of the staff, particularly Sam. When they serviced and MOT'd my car, they were honest and fair, and replaced a breather pipe for free that had perished - going above and beyond where some garages would. Taken it back for a second year this year and again, very impressed. Reasonable prices and great service, thanks fellas. This review is long overdue. I first visited Walthamstow Village Garage when I urgently needed some repair work to my car following an accident. Sam was excellent and very professional. I was emailed a quote for the repairs promptly. Earlton was also very polite and professional and kept me informed throughout the week that my car was being repaired. A few months later in October I took my car for an MOT and Sam and his colleagues worked hard to change the shock absorbers late on a Saturday afternoon after closing time due to difficulty removing the existing shock absorbers. I wasn't charged a penny extra than what I was initially quoted. An all round honest, professional and reliable garage. Highly recommend! Female friendly garage :) They are very respectable and do not try to rip you off. 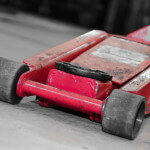 Always seek approval before any repairs are carried out and the mechanics are the best. I now come to them for all my MOT, servicing and repair work. Highly recommended. I have used the Village Garage for over 3 years now for MOTs, servicing, and repairs. The customer service is excellent - The team are always happy to help, and have always provided me with helpful and honest advice, which I really value. I trust their professional judgement and find they've been reliable when I've experienced a sudden issue. I will continue to support my local garage for this reason and would highly recommend their services. Top rated garage in East London. Sam makes the whole experience great. Have had my car serviced several times and each time they do a top quality job. Much better and better quality service than main dealers. Prices are almost 50% cheaper. Trustworthy and reliable. Fantastic customer service, friendly, helpful and more importantly they did an excellent job. Would thoroughly recommend. Very good garage. Friendly, honest people. Brilliant customer service, lovely staff and felt very comfortable waiting while they did my MOT. They completed it quickly and to a great standard. 100% recommend Walthamstow Garage. I have been using this garage for the last five years for the car wash, mot and tyres. A great service and the staff are kind and friendly. 5 star service! Highly recommended. I booked an appointment on their website only last night - it was quick, easy and effective. I had an immediate appointment at 9am this morning. I was greeted by a very friendly guy called Sam. My MOT was completed in an hour. Very professional service and the first time that a garage has not tried to make me spend extra money. They are a short walk up Addison Road to the Village too so I had a nice cup of tea whilst I waited. Brilliant place. I will now be using them regularly. Thanks Sam for a great service! Reliable and trustworthy garage. Excellent customer service and always willing to help and accomodate the customer. Been a few times already and returned a satisfied motorist each and every time. I recommend this garage to everyone. Brilliant service! I recently brought my car to the garage with several different problems, expecting a costly trip. I generally don't like the environment in a garage, however the service was splendid and the prices where very cheap comparing to other places I asked around at. They made the experience pleasant taking the time and effort to make sure everything was done at the highest quality. The manager Sam in particular was a genuinely nice guy and the garage is really clean and professional! Would definitely recommend this garage and certainly will be coming back again. 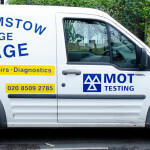 I had my MOT done here for the first time and can highly recommend them. They were quick and thorough explaining any problems with the car clearly - they were also helpful on suggesting things I could fix myself. 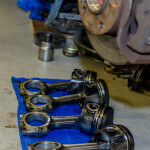 The workshop itself is clean and tidy and all staff I spoke to were extremely polite and particularly helpful. I have no hesitation in recommending them.